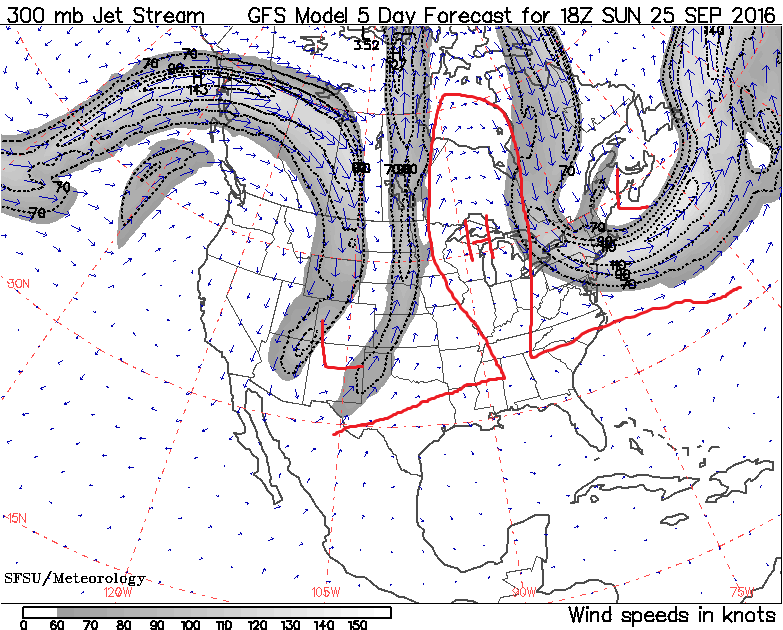 The Polar jet is starting to show a couple of strong dips from the north as we head into fall. Two Rossby waves (jet stream dips) are shown forming here that creates what is called an “Omega Block” Ω – this shows two upper Lows pinched off in the dips with High pressure in the middle. 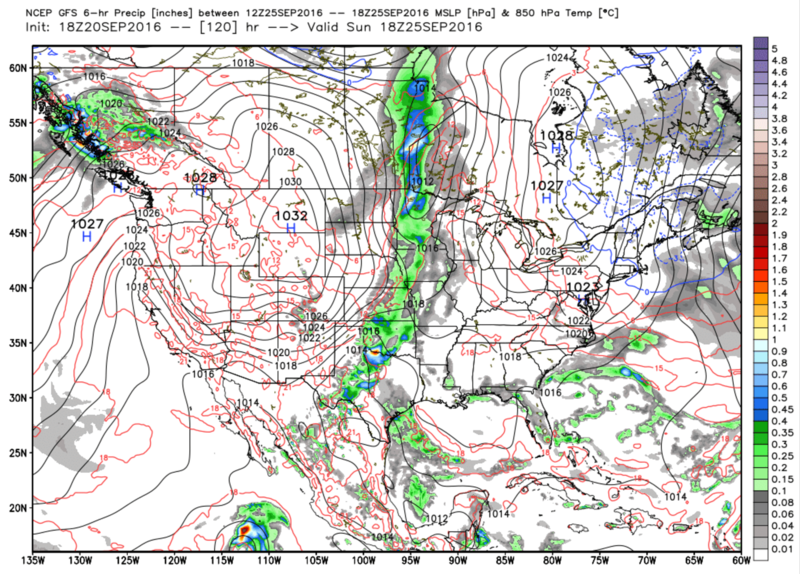 Record warmth with a strong cold front drawn up behind the first dip are suggested, but not definite. This front could bring strong rains and storms up and down the line as moisture pulls from the Pacific and connects with the Gulf of Mexico. Here is the GFS showing the cold front on Sept 25th – which this is likely to change over the next few days – my opinion is one of intensifying the front a bit more. This could bring severe weather to many spots. In its wake, a cold air mass pushes down behind the second dip and sweeps across the country as Canadian High pressure wedges down cooler air. Temps may be more significantly cooled along the northern tier, Midwest and NE United States, but temps should fall a few degrees across the SE region into FL with dew points also falling to help drier air filter in with it. 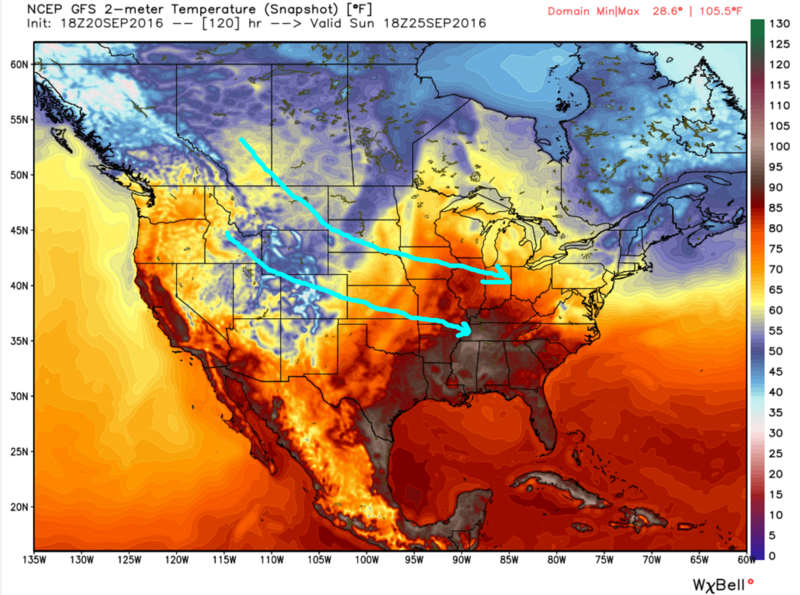 In short, we could see our first real batch of widespread cooler fall air making its way across the midwest and eastern US by the end of the month. Of course, these Canadian air masses mean stronger N/NE winds for the East Coast and SE Regions, so heads up for the coastal water and offshore interests. 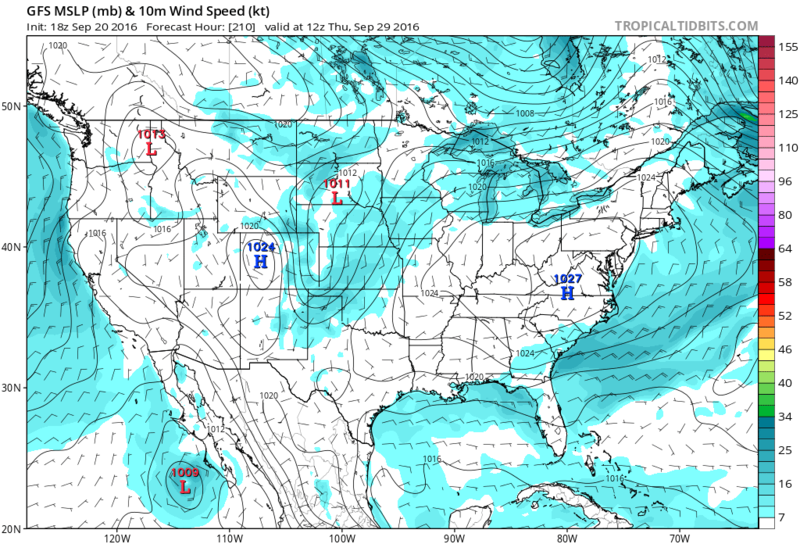 This 18z (6pm tonight) GFS forecast for Sept 29 shows a possible scenario with a NE wedge setup for the Mid Atlantic and SE region. This is 9 days out, so there again, we’ll need to watch for consistency ad verification of this model.